I wanted to cook something that was tasty, versatile and could last a couple days so I settled on a Pork Rib Roast. I had an idea on the flavors I wanted, something with a little sweetness and a hint of ginger. I did a quick scan of my pantry and everything I needed was right there. Tomorrow I think I'll make pulled pork with the leftovers... YUM!!! Whisk together all seasoning and pour into marinade syringe. Inject marinade into the meat in as many areas as possible. 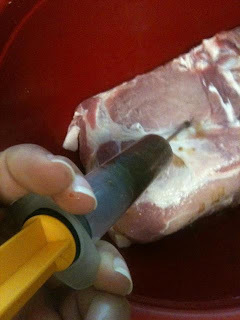 Pour remaining marinade over pork rib , place in your refrigerator and let marinate overnight. 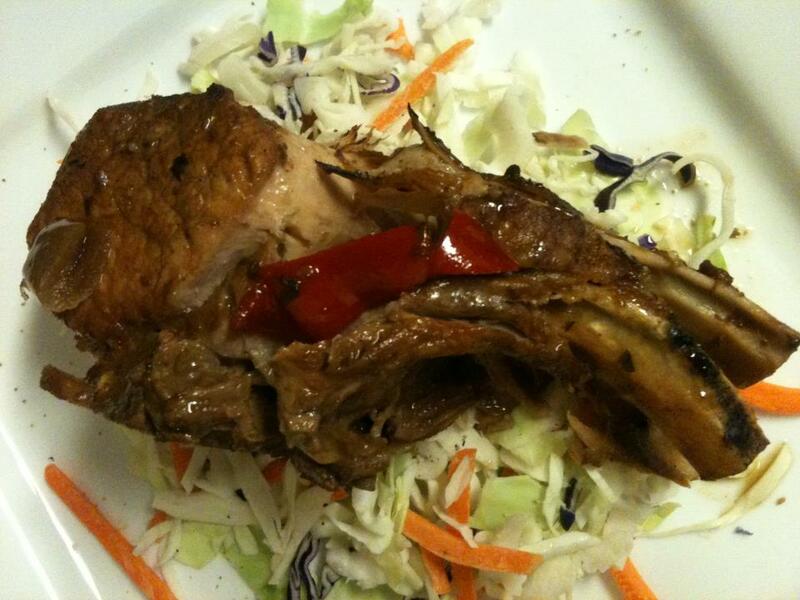 Place carrots, chopped onions and bell pepper at the bottom of your slow cooker and place pork rib on top. Pour the marinade over your meat, cover and set your slow cooker on high for 4 hours, then switch to low for 1 hour. The pork rib should be so tender that it will easily come away from the bone. Don't forget to leave me your reviews once you've tried it! !